Elegant Dance Studio is a 4000 sq. ft. state of the art dance training studio in Medford NY. Serving the Medford, Farmingville, Holtsville, Coram, Yaphank and Patchogue Community. Whether you are a competitive or recreational dancer, we offer a complete variety of dance classes for all ages including Ballet, Hip Hop, Jazz, Tap, Leaps and Turns, and Lyrical. Elegant Dance Studio provides instruction from only the most professional, qualified and positive teachers. We take great pride in the quality of our instruction given to each student, the development of our competitive dance team and our pristine facility. Our outstanding dance instructors focus on technique and the beauty of expression from the inside out. Through our state-of-the-art mobile website, Facebook Page, and emails, we will keep you updated and informed about all our events, deadlines, registrations, class changes or additions, Recital, and more. Our teachers do written evaluations of each student twice a year, in the Fall and Spring, so we can track their progress and you can remain informed about their training. We also send exit surveys to anyone who does not re-enroll so we can evaluate our program and services and make any necessary improvements. Students and parents who wish to make anonymous suggestions, may do so by placing a note in our locked suggestion box. We keep our lines of communication open to serve you as best we can! We want our students to have a positive, fun, and rewarding experience at Elegant Dance Studio – even when they aren’t in class! Many of our students view the studio as a “second home”, where they build friendships and make special memories. Aren’t sure about what style or level to take? Try any class for free! You can even try out our different teachers to see which one suits you best. Missed class because you were sick or not able to make it to the studio? You can make it up any time by coming to another class at your same level. Our instructors teach their classes according to a set curriculum with a goal for each child to achieve specific skills by the end of the year. One reason we have just one recital a year is so that students get ample time learning the necessary skills to move to the next level. If they aren’t ready to move to the next level at the end of the year, your child’s teacher will be able to explain why and what is needed to get there. Many of our teachers have been or still are working dance professionals and almost all have college dance degrees as well. Be assured that you are getting instruction from qualified teachers who are dedicated to dance and love teaching kids of all ages. 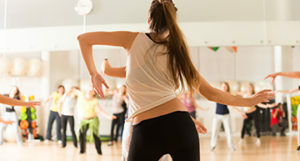 With three state of the art, sprung wood dance floors, we offer a variety of classes and levels. Elegant Dance Studio is one of the few studios that offers classes to dancers of ALL ages!